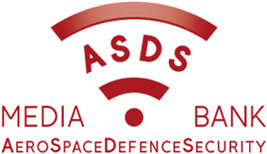 Overview of the LAAD Defence & Security exhibition, Rio de Janeiro, Brazil - April 2019. Orion Cybint system from Pegasus Intelligence, operated by Special Forces. ASDS MEDIA Best Wishes 2019. Flash-back ASDS MEDIA 2018 presence around the world. PART 2 - Footage of CANSEC 2018 Canada’s Global Defence & Security Trade Show (Ottawa, Canada). PART 1 - Footage of CANSEC 2018, the Canada’s Global Defence & Security Trade Show (Ottawa, Canada). Video highlights of CANSEC 2018, the Canada's Global Defence & Security Trade Show - Ottawa, Canada. MILREM Robotics stand on the Estonian pavillon at DSEI 2017. Thoma WISS F800 4X4 airfield field truck at the Casablanca airport. NX110 drone in service with the French Gendarmerie. New NX70 drone of the French Gendarmerie. Novadem NX70 light drone for security missions. The connected officer by Thales. Milipol Qatar 2016 - Pavillion of Qatar Internal Security Force. 31 October 2016 - Opening visit of the 11th International Exhibition of Homeland Security in Doha. Thales presence overview during the Farnborough Airshow 2016. Stock-shots: Thales launches Fulmar X, UAS, at Farnborough Airshow 2016. Boston Dynamics walking robot, Atlas. German Police officers patrol in Berlin's ILA airshow. German Special Forces in Security mission during ILA Berlin, Germany. Personal equipment of the RAID French Police presented at the MILIPOL 2015 exhibition. Panhard PVP armoured vehicle of the French Police RAID elite squad. Tactical and protected mobility TITUS armoured vehicle presented by NEXTER at MILIPOL 2015. Emblem of the RAID tactical unit of the French Police, on a PVP vehicle at MILIPOL 2015. Vehicle BR6/PM7 Level Predator Riot Control produced by STREIT Group. Thales Avionics : Passenger Experience presented at the Paris Airshow 2015. Thales In-Flight Experience report at the Paris Airshow 2015. An anti-terrorist "Vigipirate" patrol in Paris. 2015. IFRI - What future for MBTs? IFRI - The Threat of Al-Qaeda - Interview of Marc Hecker. SAFRAN at Eurosatory 2012. Interviews of Frédéric Mazzanti (Sagem) and Emmanuel Mounier (Morpho). SAFRAN à Eurosatory 2012. Interviews de Frédéric Mazzanti (Sagem) et d'Emmanul Mounier (Morpho).